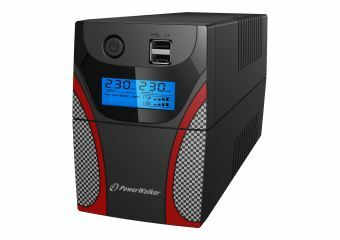 PowerWalker VI GX is premium line interactive series for gaming equipment. Gamers' devices are becoming more sensitive and even very small power outages lasting milliseconds may interrupt your Gaming experience. Hours of progress might be lost, preparations go to waste and might not only affect you, but your whole team. It is especially frustrating because blackouts happen without warning and there is nothing one can do once it occurred. The UPS serves as an emergency power generator, which provides power to all connected loads (via batteries) during sudden blackouts. This ensures either a smooth bridging of power problems or enables a safe and orderly shutdown. 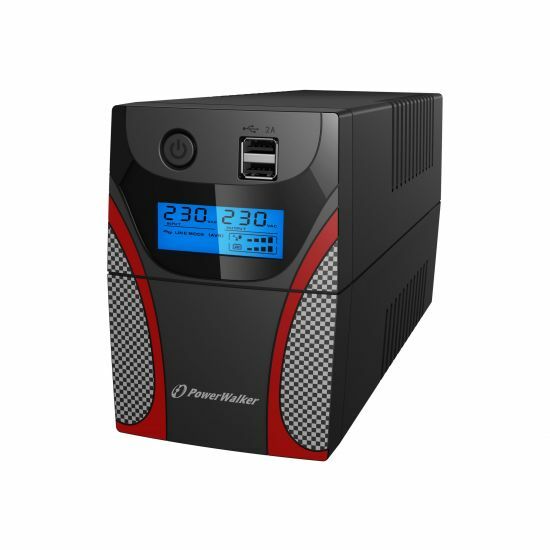 The UPS protects sensitive hardware and software against voltage fluctuations that may occur during irregularities of the mains supply. This way loss of data, hardware problems and unnecessary wear can be prevented effectively. As a Gamer your primary concern will be the protection and continuity of your Gaming PC, your router and your monitor. By doing so you will be able to bridge short outages and keep playing, or perform a safe shutdown during a longer interruption. Line-Interactive UPS solutions up to 2200VA will offer a reliable power protection while also remain silent during standard operation.